Android devices on your hand, a lot of fun around your life. However, movie playback is one area where Google hasn’t really done much on Android. Android’s stock Gallery does a decent job of playing videos but can’t recognize certain formats and doesn’t allow you to set up playlists. Truth be told, its standard video player is still a defiantly dull grey and lifeless experience. But the good news is that there are a ton of Android video player apps to tackle your TV shows, movies and viral clips. But which one is right for you? Here let’s take a look at the five most hotly-anticipated Android movie playback apps coming to the Play Store. MX Player is great for the power user — it offers a ton of options including deinterlacing, audio track selection, information display and locked screen options. The app features a simple clean UI that allows you access preferences on the fly without crowding the screen. Subtitles can be loaded using a menu from the Now Playing options screen. Want more? There are settings for screen orientation, brightness control, touch response actions, navigation and subtitle display options, and even a Cover Flow-style file view. Plus, it performs very well across formats by automatically selecting the appropriate decoder to deliver a lag-free experience. Easily one of my favorites, MX Player is an example of high-quality app development. All in all, it’s the best player out there in terms of performance and has a great mix of features. Yes, it’s by the same developers who made the very competent PC media player app. BSPlayer Lite, the free Android version holds up its legacy quite well, with quality performance on various formats, subtitle display and plenty of features for power users, including support for multiple audio streams, detailed file info display and aspect ratio toggling. The file browser looks fairly plain but the player interface is skinned like a desktop player and allows you to apply additional skins too. There are versions of this app for ARM v5/v6/v7 CPU devices as well. If you like your apps pretty and with powerful, give BSPlayer a try. 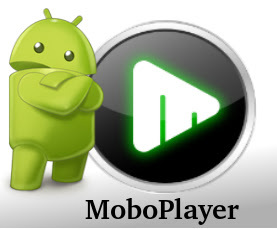 MoboPlayer leads the pack with high-quality playback, a great interface, simple controls, an easy-to-use playlist and perhaps the best multi-format support out there. Subtitles also work fine and can be easily customized. There are a couple of interesting touches: MoboPlayer can play the last-accessed file from where you left off, and allows you to use your hardware volume buttons to control audio level or video position. The UI also reflects how well-built and full-featured the app is – you can go through your files in list, grid and cover flow views, search and sort by file size, duration and resolution. MoboPlayer also supports streaming directly from URLs if you’re into that kind of thing. VPlayer is a HW accelerated Media player for android. It use HW video decoder at various containers and audio codecs combination. Dual Core/High end devices ( Sensation , Galaxy S/S2 , Nexus-S ) can play 720p even 1080p MKV/AVI/MOV/FLV/TS/M4V/3GP. VPlayer drains less battery than SW based players such as MX Video Player, MoboPlayer. 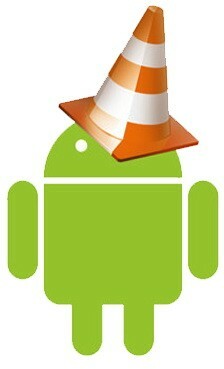 We all know VLC player because it’s the best video player for playing all video format in our computer. But in android world it jumps little late now many video players already set their place in android user’s heart. It’s free video player like others but it’s still in a beta version and it works only for armv7 CPU devices. The future update might come for armv6 devices. Overall we should give them time to improve it because we all know VLC is a big name right now it’s buggy and need fix it soon. But still it’s on 9th place because of armv7 devices only. What if the default or downloaded Android video players refuses to play even can’t recognize your video? If your Android gadget(including Nexus 7, Nexus 10, Kindle Fire HD, Nook HD, Samsung Galaxy Ta, Galaxy Note, Galaxy S4, Asus Infinity TF700…) refuses to play a video, it could be due to one or more of the following reasons: Unsupported codec (e.g. AC3); Huge file size (that exceeds maximum 4GB file size); High bitrate (e.g. camera footage taken at 18-25mbps); Unsupported video format (e.g. *.vob format); Protections (e.g. iTunes videos). To achieve your goal smoothly, the easy workaround is to use third-party program to convert your videos. The best program I can recommend for encoding/re-encoding videos to Android devices is Brorsoft Video Converter Ultimate, which is a powerful all-in-one tool to convert videos, Blu-ray movies and DVDs to all Android tablets/phones at the same saving time and effort. If you are running a Mac OS X computer, iMedia Converter Mac is the alternative.